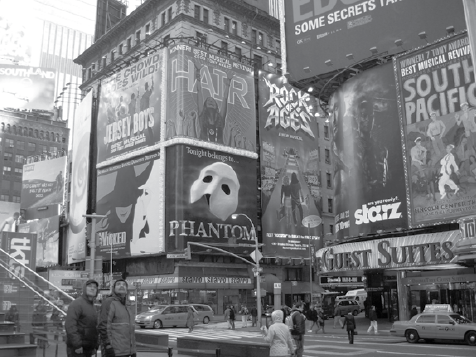 The most famous spot in New York City has to be Times Square. 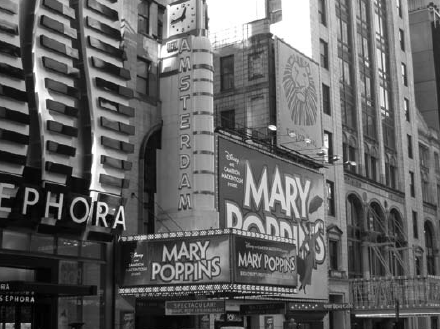 It’s appeared in countless movies, such as Big, I Am Legend, and Jerry McGuire. Certainly everyone recognizes it as the place to watch the ball drop on New Year’s Eve. In fact, Web cams make it possible to view this legendary location from anywhere in the world all year long. 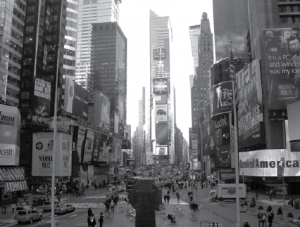 Times Square draws people from all over the globe, in this life and the afterlife. 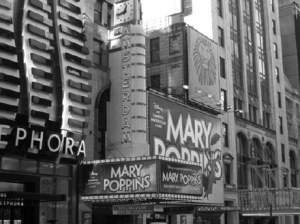 Case in point: Two Royal Air Force pilots who appeared mysteriously on the corner of 45th Street in Times Square during World War II. 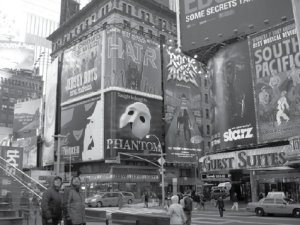 They asked Harvard graduate Oswald Reinsen, who was standing next to them on the corner, whether they were in Times Square. He confirmed their location, then began to cross the street. They followed him. Noticing the pilots’ uniforms and their English accents, Reinsen struck up a conversation with them. They told him how determined they were to visit Times Square. Reinsen noticed they kept a close eye on the time, checking their watches habitually every 10 minutes or so. After walking several blocks, Reinsen reached his destination, the Harvard Club. He invited the RAF men to join him, and they gladly accepted. They enjoyed dinner and “spirited” conversation; all the while, the two RAF men kept checking the time on their watches. Just before midnight, they explained that it had been close to 24 hours since their planes had been shot down over Berlin. As they rose from their seats, they thanked Reinsen for the meal and proceeded toward the exit. Reinsen watched, dumbfounded, as they got lost in the crowd and vanished from view. That story may be the most extensive and intense example ever of a crisis apparition. A typical crisis apparition occurs immediately after death. The newly deceased person, without the trappings of his corporeal being, “makes the rounds” by showing up to loved ones as a final farewell. Here’s how a crisis apparition works: You answer the doorbell, and there’s your Uncle Ted. You’re excited to see him and invite him in. Knowing how sick he’s been with cancer, you can’t believe how great he looks and that he is out and about. You make him comfortable on the couch and dash off to the kitchen to make him a cup of tea. All the while you’re chatting at 1,000 words a minute and not realizing Uncle Ted isn’t responding. You come back to the living room with his cup of tea, and he is gone. As you call out for him, the telephone rings. You answer the phone, and your Aunt Betty says that Uncle Ted just died. Most crisis apparitions appear as solid as you and I. Some may speak, but that’s rare. As an example of how solid they can appear, I know of a woman who bumped into the crisis apparition of her father. 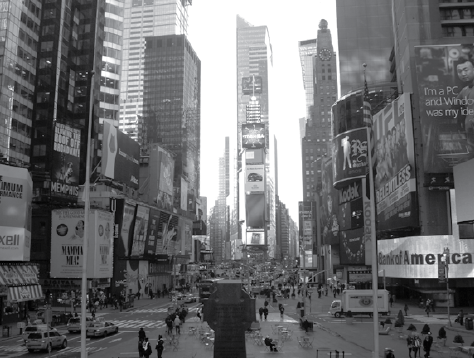 She worked in New York City, and her demanding job had her rushing from one meeting to the next. While she was racing to pick up a sandwich and head to the next meeting, she was checking messages on her cell phone. Someone bumped into her, and when she looked up from her phone long enough to give the person a nasty look, she saw her father. He waved to her and vanished in the crowd. She wondered why her father was in New York City, but she continued to rush to her meeting, figuring she’d see him back at her office later. She had enough time to inhale her sandwich, shut off her cell phone, and sit down for the start of the meeting. After the meeting, she checked her messages and heard a heartbreaking one from her mother that said, “Daddy had a heart attack. He’s dead. I need you to come home right away.” Once home, she learned that her father had died around the time she bumped into him on the street. He had come to New York to wave a final good-bye. 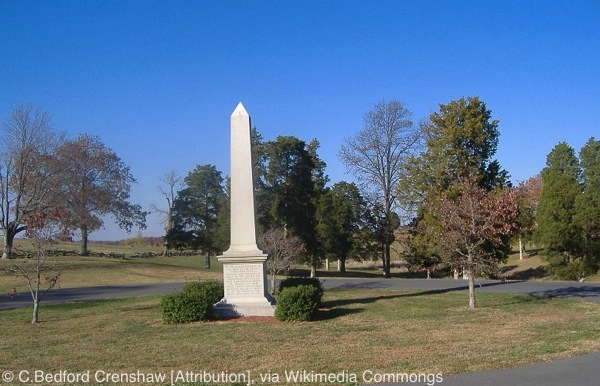 On October 8, 1862, one of Kentucky’s biggest Civil War battles was fought just west of Perryville when Confederate forces under General Braxton Bragg and Union forces led by Major General Don Carlos Buell clashed. The battle lasted more than five hours; when it was over, more than 7,600 soldiers lay dead, wounded, or were missing. 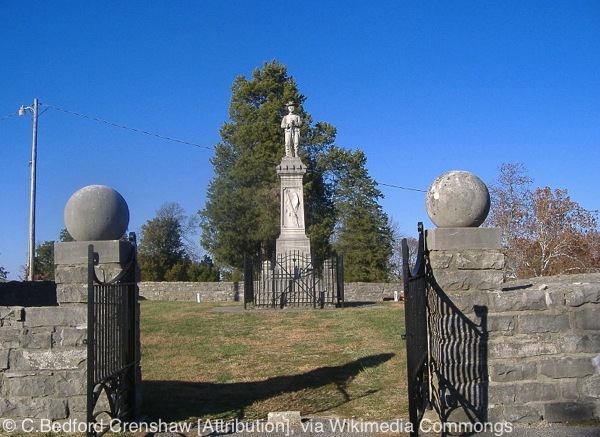 After the battle the Union soldiers were buried in a cemetery along the Springfield Pike. The Confederate soldiers weren’t so lucky. For three days, both the dead and wounded lay in the roasting sun. They eventually were buried at Bottom Family’s farm, which later became the state park. The Union dead did not remain at the cemetery long and were moved to Union cemeteries at Camp Nelson and Lebanon, Kentucky. It was not until 1902 that the Perryville Commission placed a monument dedicated to the Confederate soldiers who fought and died at the Battle of Perryville. The Perryville Battlefield site has become a favorite for reenactors, who come to the park for the annual reenactment on the weekend closest to October 8th. 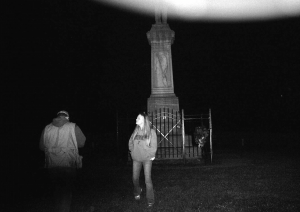 Three times a year, the Perryville Battlefield park also offers a ghost seminar and a ghosthunt for visitors. While talking, Joan remembered another story that had happened while camping during a reenactment. She said that two of the reenactors were noted historians, and they told her a great story about being visited by a Civil War ghost. The men were asleep in their tent when they were awakened by what they thought was another reenactor. He barged into the tent and demanded to know the whereabouts of one of his soldiers. They looked at him and didn’t recognize him as part of their group. He called his soldier’s name over and over as he walked around in the tent looking for him. One of the men asked him who he was, and the intruder stated his name and rank. He then turned and stormed out of the tent. The two men got up and followed him as he went to the tent next door. When they got to the other tent, he was gone and wasn’t seen or heard of again. The two historians decided to investigate, so they looked up the names that this stranger had given them. To their amazement, they found that both names were listed as two of the men killed at Perryville. It’s hard to believe that this pristine and peaceful paradise, filled with deer, beavers, turkeys, and other birds, and bordered by miles of 19th-century stone fences was once the site of so much death and destruction. But it was. One can only hope that the ghosts of Perryville will eventually find the peace that now surrounds them. 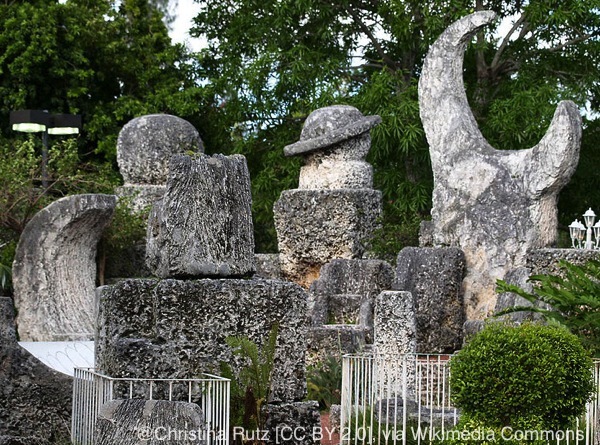 Cassadaga, Florida, is like no other small town in America. 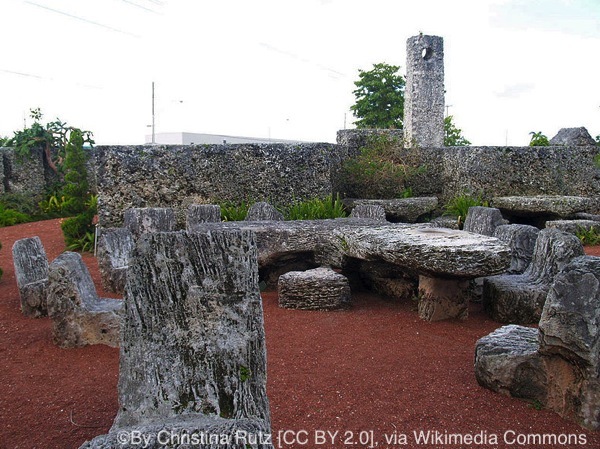 There are no banks, no drugstores, no laundries, no gas stations. There are few people wandering about and no children playing in the streets. It is almost unearthly quiet, and that’s the way the townspeople like it. George Colby, a New York medium, was led by his spirit guides to Florida to establish a spiritualist camp at Cassadaga in 1875. Mr. Colby, suffering from tuberculosis when he arrived, found the waters at the site he chose to be soothing. He later was completely cured. The Cassadaga Spiritualist Camp quickly became an educational center where Spiritualism could be taught unhindered by outside interference. The oldest active religious community in the United States, Cassadaga is now a mecca for spiritualists, mediums, astrologers, and psychics. The humdrum activities, sounds, and sights of a normal small town may be missing in Cassadaga, but spirits are here. The air in this tiny town off I-4 between Orlando and Daytona fairly shimmers with energy. Visitors can find almost any sort of spiritual counseling they want. Black magic and witchcraft are not used. Of course, Cassadaga has its hauntings. 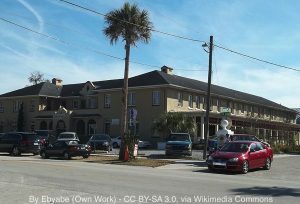 The most famous are found at the old Spanish-style Cassadaga Hotel. Arthur, an Irish tenor, lived at the hotel for a time and died there in the 1930s. He is occasionally seen in the hallways by guests, and he will answer questions by flipping lights on and off. Arthur lived there in the days before air conditioning, and his room, number 22, smells of body odor. It also smells of cigars and gin, which Arthur apparently enjoyed. Or did those aromas come from Gentleman Jack, another entity whose presence is often reported? No one seems to know now where he came from or very much about him, but he also supposedly haunts the hotel along with two little girls, Sarah and Katlin, who frolic up and down the halls. Whether you stay in the hotel or come only for the day, Cassadaga is worth a visit just to enjoy the quiet and feel the incredible energy of the town. The Cassadaga Spiritual Camp offers guided tours. If you are interested in a stay at the Cassadaga Hotel, check the website for availability. 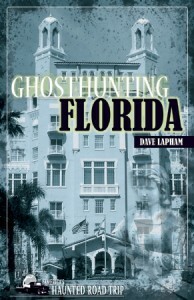 People may think that Florida is all about Mickey Mouse; however, in his book Ghosthunting Florida, author Dave Lapham proves that the state is fertile ground for entities even more fantastic than a talking mouse. 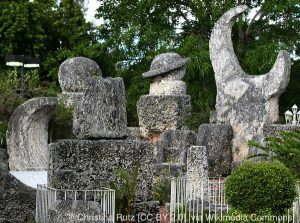 The book is a spine-tingling trip through Florida’s small towns and lively cities, its historic sites and fun spots, all of them haunted.